Transportation in, to, and from Barranquilla | Barranquilla or Bust! First of all, you need to know that the main methods of transportation within the city of Barranquilla include: taxis, buses, “busetas,” and Transmetro. In relation to taxis, as in other cities in Colombia, you should try to always use radio taxis, also known as taxis de confianza or taxis registrados. These are taxis that you get by calling one of the many taxi companies located all over the city. When you call, your details are stored in a system, and the taxi that picks you up is also registered in the system. Some of these companies include: 322.2222 and 385.5555. These two companies also have apps you can download to your smartphone and/or tablet as well as special codes for calling from cellphones for free to request taxis. If you are unable to call or use an app, check to see if there is a taxi stand nearby—many shopping centers, hotels, and high-traffic locations have them. At taxi stands, someone will record where you are going and the taxi that is taking you, again giving you just a little more safety. You can hail taxis on the street, if need be, although it’s considered safer to use radio taxis or taxis registrados. Buses in Barranquilla are a little crazy, but once you figure out which ones you actually need to use and are useful for the things you do frequently, you’ll be fine. Each bus has a specific route, and that route is posted in the front window of the bus, normally painted or written on a small wooden or plastic square. These squares, though, will only have the well-known places that the buses pass; they do not actually show or tell you exactly what streets the bus will go down. If the place you are trying to get to is not listed on the “square,” it may be best to ask before jumping on. To catch one of these buses, you’ll need to stick your arm in the air and “wave” one or two fingers to flag it down. You can flag down these buses anywhere you may be standing on the street where the bus passes, and you can also get off the bus at any point. To get off, you will most likely need to press a button that will be close to the exit door of the bus—the exit door is at the back of the bus and the entrance door at the front. Monday-Saturday these buses currently cost 1.600 COP (about USD 80 cents), and on Sundays and holidays they cost 1.700 COP (about USD 90 cents). It’s also important to know that these buses do not have air conditioning—picture old school buses with more rows of seats crazily decorated and brightly colored. So, if you want to stay “pretty” or want to avoid the heat at all costs, this may not be the right transportation for you. If you do choose these buses as your transportation, try to find a seat beside a window that opens, preferably on the side away from direct sunlight. 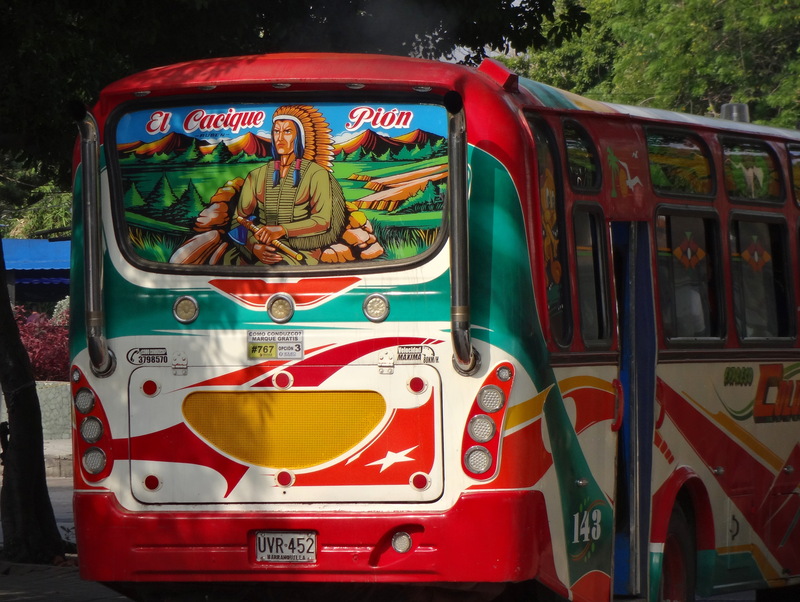 Some of these larger, antiquated school buses also travel between Barranquilla and smaller towns outside the city such as Salgar, Puerto Colombia, Soledad, Santo Tomás, and Malambo among others. These buses will cost a bit more—anywhere from 2.000 COP to 5.000 COP (about 1.00-3.00 USD), depending which town you are going to. Salgar and Puerto Colombia are popular spots for days at the beach, while Soledad and Malambo can be great places to explore small-town Caribbean cultures. Santo Tomás is famous for its pre-Carnaval celebrations. Busetas are very similar to the regular public buses, only they are much smaller. Whereas regular buses are basically old full-sized school buses that have been re-made and fitted to be used as more accessible means of transport, busetas are a mini version of the regular buses, with only one door used for entrance and exit. They generally follow transport routes that the bigger buses avoid, but cost the same, maybe 100 COP less (about USD 5 cents less). I, personally, wouldn’t recommend these smaller buses as they can be a bit claustrophobia-inducing and you can normally catch a bigger bus that will eventually get you to where you need to be. If for some reason, though, you find yourself in an area where only a buseta serves you, jump on it and try to get a window seat! A third way of getting around Barranquilla is via the government-run Transmetro service. Transmetro is a bus rapid transit system similar to the Transmilenio system of Bogotá, but not quite as developed or extensive. It has a central trunk route, which serves three services as well as several feeder buses that serve over 20 different routes. To access these services, you will need to purchase a Transmetro card, which can be done at any of the stops on the trunk routes. A ride on any of the Transmetro buses will cost you 1.700 COP (about USD 90 cents), no matter what day of the week you choose to use the service. There is only one type of card you will be able to buy to use the services, and once you have it, you can recharge at any of the trunk stations or at any Olimpica supermarket in the city. While Transmetro does not go to all parts of the city, it is a wonderful option as it is air-conditioned and nicer than the regular public transport buses. To catch a Transmetro bus, you do not need to do any special waving; you only need to spot a Transmetro sign and bus stop, where the buses along that specific route will stop to pick you up. Likewise, to get off a Transmetro bus, you will need to wait until the bus stops at a designated stop—it will not stop wherever you need it to, but will follow the set stops it has been assigned. Now, if you are outside of Barranquilla wishing to get to this sun-blessed, Carnaval-celebrating, Caribbean port, there are many ways to get here. The first way is via what is called a puerta-a-puerta (door-to-door) bus. These are special service buses that you catch at a bus office, but that leave you, more or less, at a specific address. For instance, you can catch buses via BerlinasTur or MarSol between Cartagena and Barranquilla as well as between Santa Marta and Barranquilla. Travel with these buses normally costs between 16.000 and 22.000 COP (about 8.00-12.00 USD), depending on whether it is a holiday weekend or not. You can also take direct puerta-a-puerta buses between Barranquilla and Valledupar. In the same way, you can take these same services from Barranquilla to Santa Marta, Cartagena, or Valledupar should you need to travel away from Barranquilla. In general, these services run every 20-30 minutes, and tickets are a first-come first-serve basis, meaning if you need to leave or arrive at a specific time, you need to arrive with plenty of time to buy your tickets and guarantee yourself a seat. These buses are air-conditioned (sometimes to Arctic levels), but lack on-bus bathrooms. You can also arrive to Barranquilla via airplane from most cities in Colombia. The national airline, Avianca, has frequent flights from bigger Colombian cities and several direct flights from Cali, Bogotá, Bucaramanga, and Medellín daily. A new national airline, Viva Colombia, also has direct flights daily between Barranquilla and Medellín, which can be as cheap as around 47.00 USD if bought with approximately 2 months anticipation. Even if you buy tickets from Medellín to Barranquilla with less anticipation, you will still likely get the best buy through this company. It is worth knowing, though, that to get reserved seating or checked baggage, you will need to pay extra. You can also book flights to Barranquilla through LAN, a Chilean based airline that flies all over Colombia and South America and get direct flights from Panama City, Panama via Copa Airlines once or twice daily, with connections to some major cities in the US and Canada. You can also take regular intercity public bus services to get to Barranquilla from other cities in Colombia, such as Bogotá, Medellín, Cali, Bucaramanga, Riohacha, and Valledupar, among others. These types of buses are larger, think tour buses with bus bathrooms and few to no stops between cities, and they go from city bus terminal to city bus terminal. You could pay anywhere from 35.000 COP to 200.000 COP, depending on which city you are traveling from to get to Barranquilla. These buses are much bigger than the door-to-door services, but will require you to catch your own transport to and from the bus terminals where the buses leave you. These buses do, though, operate with reserved seating, and have air conditioning and reclinable seats. The schedules of these buses differ between cities, and may have services that run less frequently than the door-to-door services. So, as you can see, Barranquilla is well connected to other parts of Colombia as well as other cities in Latin America, and getting around the city, while it can be chaotic, is not as challenging as it may at first seem. Courtenay and I hope that after reading this post you feel more comfortable with the means of transportation in, around, to, and from Barranquilla and that you are ready to dive in! If you have any more specific questions, please, do not hesitate to comment below. 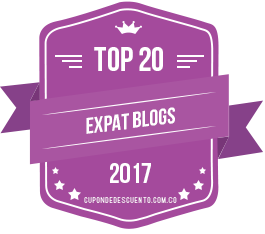 This entry was posted in Daily Life, Making the Leap, Travel & Tourism and tagged barranquilla, buses, Colombia, Public transport, south america, taxis, tourism, Transmilenio, transportation, travel. Bookmark the permalink. It is definitely helpful that taxi fares are so low… that, plus Killa’s walkability, has made it possible for us to live without a car. Absolutely. Perhaps a bit more in Cartagena; from Bocagrande to the airport or the “Old City” which is so great for walking at any time. As compared to a vacation in Florida where you must rent a car. A return taxi from North Miami Beach to Dolphin Mall could easily be $120! More if there is traffic. Sadly I will not be in Colombia this year although our oldest girl is going to Killa in 2 weeks for 3 weeks. But we are still hoping to move to Killa as soon as we can sell our house beginning in April. I am gathering info on the bilingual schools there. They are all located north of Buena Vista towards Playa Sabanilla. We plan to contact them to know the prices. Strange that so many of the schools have websites but no mention of the costs. Thank you both for such useful information! Paige, is there a way to get some kind of map of the different routes and the difference form of transportation? Some cities (I know, mostly the big ones) have route maps that combine metro routes and buses routes so one can decide which form of transportation is more convenient, which route to take and where the vehicle stops. Anything like that there? Thanks again! Silver, I am planning to move to Barranquilla the first week of January. I have a toddler and I’ve been looking at different bilingual schools. Depend on how old your child is you would have more or less options. You are right about them not mentioning their costs on their website, but you can get that information if you contact them directly and show them interest in registering your child there. I should warn you that in Barranquilla you have to pay a “bonus” just for the right to register your child in a bi-lingual school. This bonus costs around 10,000,000 pesos ($5,000) and it doesn’t include the cost of registration (matricula), school materials, nor monthly fees. This post really makes me have a homesickness for Barranquilla! I have to admit that I actually miss all of that awesome (yet sometimes crazy) transportation! Miss you both! Also, to Virginia and Silver, you could both check out Boston International School. It’s a much smaller private (I think Presbyterian) school. I used to volunteer there and I really enjoyed it. It’s not quite as big or fancy as some of the more well known schools in the city, but that also means that the price is more manageable. It’s a little farther south (Calle 74 with Cra. 36) but it’s in a nice area (close to El Centro Comercial Americano and El Unico). The teachers there are great! There is also a strong focus on English, and a famous futballer even sends his daughter there! One of my college professors is from Medellin (sorry, no accents on this computer), Colombia. However, he has friends at la Universidad del Norte. He told me that he could get me connected there for a possible job. What an opportunity to possibly fulfill my dream of moving to a Latin American country! I am contemplating a move there, so naturally, I am trying gather information on all things Barranquillan. Any help would be greatly appreciated. My question is: Is it possible or even practical to bring a car there with me or should I try to sell it (financed) or leave it stateside? Side Note: I am about to take a TESOL course with Oxford Seminars? Do you know if this is advantageous in Barranquilla? Hi Marcelo! How exciting that you are thinking of moving to Barranquilla. It was a great move for me and my family. With regard to your question about a car, when we moved a year and a half ago, the laws were such that you could only import a brand new car direct from the dealership. I cannot tell you for sure that the rules are still the same now, but at the time we moved, bringing anything other than a brand new car was not possible. I had a Ford Fiesta that was only two years old at the time, and I would have brought it if I could have. I sold it to CarMax; fortunately, I was able to pay the difference between what they were willing to buy it for and the outstanding balance on the loan. The process was really easy; I was able to do it at the last minute so that I had a car up until a few days before leaving. The really good news is that it is possible to live pretty comfortably in Barranquilla without a car. We still don’t have one, and getting around is very easy and affordable. Hope this helps! As to your TESOL question, I would contact Paige directly via her blog… she will be able to shed more light on that than I can. Good luck! This is such a great blog. Nice to hear so many positive things about Barranquilla, especially from foreigners. I was born in NJ but my family is from Bquilla. I’m planning to fly down at the end of the month and spend a couple of months there. Unfortunately, I do not know many people there. Would you have any advice on any sites or other blogs that would help me connect with others in their 20s-30s? I’m finding it real challenging to map out the bus system. I need to get from Villa Country to UniNorte. Even the department head at the school didn’t know how to help me. I was shocked when she said they didn’t have anything for prospective students. She literally told me ‘trial and error’. Hey Justin! I feel your pain. I’ll let you know if I hear of any resources for bus routes and schedules. If you find anything useful, please post again here so that we can share it with others. Good luck, and thank you for commenting! Hello, everyone. My name is Miguel Angel Duarte, and I offer the service of transportación and guidance within the city of Barranquilla, or outside, if required. I was born and raised here, and know everything there is to know. I’m a journalist, and also a lawyer. And can assist in whatever is needed. My cell is 3008050583, and my home phone is 3016350. Have a great day. 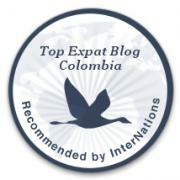 Pingback: 8 Ways that Medellín and Barranquilla Differ | Barranquilla or Bust! Miguel Angel Duarte , i am flying into Barranquilla early april and need to get to Cartagena the same day . How can i do this and what $$ would it cost ? 2 people ..
Not sure of the current going rates, but a good option might be the BerlinasTur or Marsol puerta-a-puertas. You could look them up online and call to see whether they’d pick you up or whether you’d need to take a taxi to their station. I’m not sure. I’ve done it in reverse – from the Cartagena Airport to Barranquilla, and in that case, you need to take a taxi for a short distance to the BerlinasTur station. You can also just hire a cab to go all the way – I can recommend someone – but that will cost considerably more. Thanks for all the great information! Do you have an approximate cost of what a taxi from the B’quilla airport to the old city of Cartagena should be? I contacted Marsol & they don’t pick up at the airport; you can take a taxi (COP25-30,000 they told me) from the airport to their office & then take a puerta-a-puerta to C’gna, but was curious as to what the taxi fare all the way might be. Thanks! Hello, Barb, how are you doing. From Barranquilla´s airport to Cartagena, it is around 260 to 290 Colombian pesos. It includes the tolls. I could provide the service, if you need to. There in Cartagena, I could even take you anywhere you need, according to their fares. Hello, Barb, how are you doing. From Barranquilla´s airport to Cartagena, it is around 260 to 290 Colombian pesos. It includes the tolls. I could provide the service, if you need to. There in Cartagena, I could even take you anywhere you need, according to their fares. Barb, we have taken taxis to/from Cartagena/Barranquilla (not to the Barranquilla airport but directly to our home) a bunch of times. If my memory serves, we usually paid 150,000 pesos, which does include tolls. That might be a little low because we have a friend who is a taxi driver who may have given us a better deal and the price might have gone up some. But that is what we paid. Hello, yes, that is a bit outdated. I just called to the airport, and it is around 250 to 270. Your driver friend gave you a good price, without knowing how long ago you were driven from B to C, and despite he did not pick you up at the airport, which would add 30000 pesos more to it. Barb, if you send me an email, I can put you in touch with the taxi driver that I use, and you can compare prices. Hope that helps – thanks! Barb, I believe, Courtenay´s is, by far, the best alternative you have. I don´t think you´ll get it, from B´s airport in less than 240. Greetings to you all. It may be higher than I think, but at least this way there’s a price comparison. Thanks for your input, Miguel! Hi Miguel, sent you a message on FB (I don’t really do WhatsApp) which FB says will go to your “other” folder; please check that when you can. Thanks! I need a taxi from Barranquillo to Cartegena on the night of August 7, 2015. Who has the best rate?